The CLP-585 has received wide acclaim, not only within the music industry but also from further afield. It was awarded a prestigious Red Dot Design Award in Product Design in 2015. 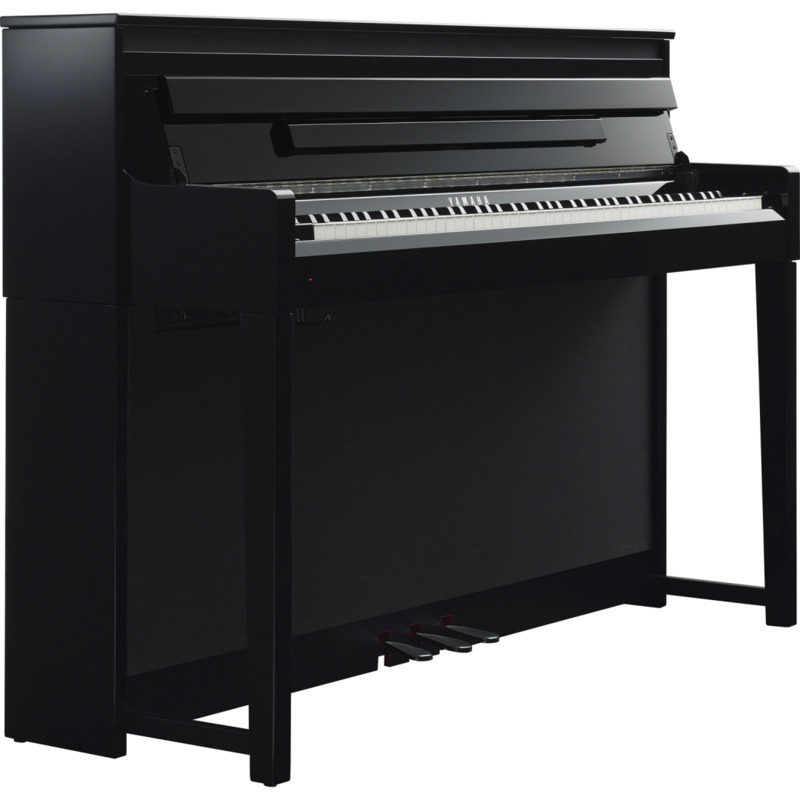 First and foremost a piano, the CLP-585’s NWX action gives a refined and detailed response. The feel of an acoustic grand piano’s subtle escapement mechanism is also recreated, while synthetic ivory key tops and counterweights offer a more precise control for delicate playing, and further complement the piano feel in a way that only Yamaha can create. The CLP-585 features both the Yamaha’s CFX concert grand and the Bösendorfer Imperial, a brand which has been held in high esteem by pianists throughout its long history. These renowned pianos are characterised by distinctive traits such as power, versatility, subtlety, lightness and mellowness. In an acoustic grand piano, sound resonates throughout the body of the instrument, producing a rich reverberation that envelops the listener in sound. This is reproduced in the Clavinova through Virtual Resonance Modelling (VRM). This technology calculates the various states of the strings for each of the 88 notes on the keyboard, allowing organic, richly varied expression that reflects the limitless number of factors inherent in playing the piano, such as which keys are pressed, how hard the keys are played and the pedal timings. With full recording capabilities, hundreds of sounds and world-class exercises included, the CLP-585 is a stunning instrument for even the most discerning pianists.